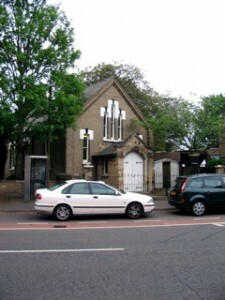 A small church situated approximately half a mile from St Neots town centre. Well used by local groups. Actively involved in Churches Together in St Neots. Address: St Neots Road, Eaton Ford, St Neots. (The church has no letter box. Please send all correspondence to the Church Secretary, 9 Crecy Court, Eaton Ford, St Neots, PE19 7NG. Visit of Good News Christian Library Van each month excluding January and August to 9 Crecy Court, Eaton Ford.